We are exhibiting at European Utility Week 2018! Join us in Vienna 6-8 November 2018 for this new edition. 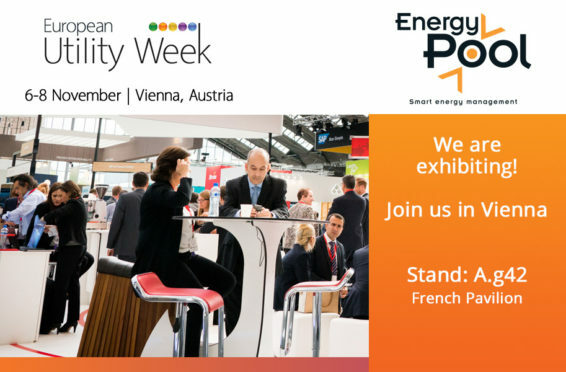 We look forward to welcoming you on our Energy Pool booth (A.g42) on the French Pavilion, please contact us to schedule a meeting and discover our latest innovations.